/ Modified nov 10, 2017 8:21 a.m. 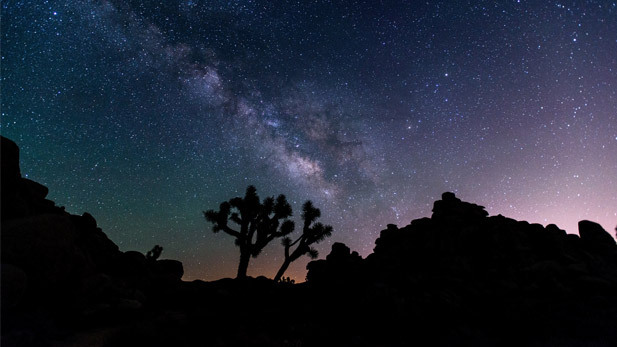 The night sky above the desert. The University of Arizona, the Smithsonian Institute and the National University of Mexico -or UNAM- are planning to build a new telescope at San Pedro Mártir, similar to the one at Mount Hopkins near Tucson. Buell Jannuzi is head of the Department of Astronomy at the U of A. He said the American institutions will provide some equipment, including the mirror, while both sides of the border will benefit from shared research. “And that’s where great science happens: when you have state-of-the-art facilities with enough brain power behind them to actually make cool discoveries," Jannuzi said. Dennis Zaritsky, professor of astronomy at the U of A, said he thinks the endeavor will bring exciting results. “Everything from how stars form, to the earliest galaxies, to black holes… all of these topics are things that I’m sure individual investigators will propose," Zaritsky said. William Lee is the telescope project director at UNAM. He said he expects the telescope to be up and running by 2023 and working for decades. “There are important things in science and technology between Mexico and the U.S. that are of lasting consequence," he said. Lee says the project will need a $100 million investment.